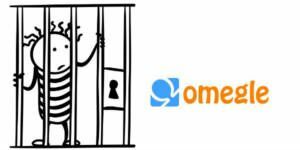 We got many questions recently by our users and they are curious if they arrested because of their conversation on Omegle. There is no reason that you will be arrested on the website if you don’t do anything against laws. We are going to tell you about how you will be arrested on this page and you are going to find your answers on here. Firstly, you should know that there are laws for internet at the moment and laws don’t take internet like a cyber world. If you ever do something bad (which is a crime in real life) on internet, you may be arrest because of that. You should be always think that talking to people on phone or on internet is not a game and you can be sentenced because of little things you have done on online conversation platforms. Such as forums, online chat sites, social networking platforms, etc… Whatever you have done on the websites are always recorded by servers of the websites. If you did a crime with your computer and if the things went to lawsuit or police, it means it is highly likely that you will be arrested. You can check some of Omegle Arrests on How to Chat Online. We have noticed that many criminals has tried some strategies but nothing worked for them. If you have broken the law, you can’t resist the justice. Talking with girls and guys who are younger than 18 years old and demand them unappreciated stuffs will get you in trouble. Recording videos of people without permission and publishing, selling or save the video. Taking pictures of people without permission and publishing, selling or save the video. Confessing a crime which you have done in real life. We got different kind of questions on that. Let’s answer some of them for you. I Hide My IP on Omegle, I will be in Safe? Can Police Find Me? Is it a Crime to Record Someone On Omegle? I Got on Omegle Video and I am Under 18 years Old, Will I Get Arrested? No, you won’t be in safe and Police will find you. Hiding IP doesn’t save you at all. Actually process is very easy on hiding IP. If there is anything wrong with the situation, the court will ask Omegle to provide details. 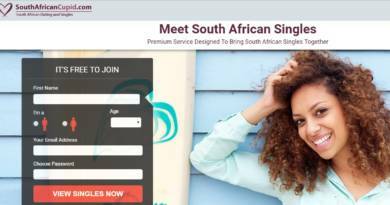 Omegle is going to give your fake IP to court. It will be highly likely that fake ip is from a proxy service. Then they will go to proxy service and done! Proxy service will provide your IP to court or police and you will be in trouble. Actually, it is one of the worst crimes that you can do on Omegle. If you have published the video, you can be arrested due to violation of rights, abuse of right, harassment, etc. It depends what does video included and if you ever published it. You may pay thousands of bucks because of that and you can go in jail. If you have banned from Omegle but you didn’t something against laws, don’t worry about it. We recommend you to use the Omegle for a clean chat and you will be safe. Omegle was a good community for making friends in the past. The website is already providing many other alternative services for you if you want to make another kind of conversation. Clean chat will help those who wants to chat with girls, guys, teens and kids. You can ask questions with commenting this page and you can also review our suggestions on this page. I am from USA and 15 year-old. Just entered Omegle Video today. One of my friends told me people who joins there under 18 can be in trouble because there is a law like that. I am scared now. Will I get arrested because of chatting with camera on Omegle? What should I do? Welcome to How to Chat Online and thanks for asking a question on our Questions and Answers service. You are not going to arrested because you have used the website. There is nothing to worry about that but there are other things you should worry. You should understand that Omegle is not a safe chat site for someone who is under 18 year-old. For your safety, you should take a family member near of you (someone who is older than 18 year-old) and chat on the website. Omegle is already recommends parental guidance for those who are younger than 18. There is nothing illegal you have done on the website, so don’t worry about police and arresting.